Terrain Work is working with Janus Property Group and LevenBetts architects to create a new landscape for the old Taystee Bakery complex in Harlem, New York. The Taystee development will establish a new connection from 125th Street to West 126th Street to become one of the defining landscapes in the Manhattanville Factory District. The Janus Property Company has built a reputation for creativity, integrity and success, becoming a leader in transforming New York’s obsolete buildings and underutilized land into newly active and lively neighborhoods. Taystee is key anchor development in Janus’ one million square foot master-planned vision for the Factory District that will be a delicious addition to the community. Terrain Work is delighted to collaborate with Janus and their design team on this transformative project for Harlem. Terrain Work was recently invited to submit a proposal for a private art gallery in the Chelsea neighborhood of Manhattan. The proposal, Unfolding Blooms, is a collaboration between Terrain Work & Behin Ha and takes one of the simple pleasures in life - the unfolding of a bloom - and turns it into a fully immersive experience. The artwork is comprised of a grid of three hundred and fifty mirrored spheres that each contain a mix of blooming flowers and cut branches in the manner of the art of Ikebana. The spheres float above the ground at different levels and are organized in rows spaced three feet apart to allow people to occupy a the space among the blooms. Unfolding Blooms creates an immersive experience that occurs through space and time where people can celebrate the simple beauty of a blossom opening. To learn more about unfolding blooms click here. HUDSON COMMONS CONSTRUCTION IN MANHATTAN UNDERWAY! Terrain Work is excited to announce that our project Hudson Commons at 441 9th Avenue in New York City has begun construction of the landscape! The project, in collaboration with COVE Property Group and KPF Architects, consists of 40,000 square feet of landscape that climbs up a commercial office tower. Hudson Commons offers premier office space in the heart of Manhattan providing an innovative approach to work-space environments that encourages indoor to outdoor interactivity with a landscape that is designed for both work and relaxation. To learn more about Hudson Commons click here or visit www.terrainwork.com. Theodore Hoerr, Principal of Terrain Work, is a juror for the upcoming Malecon competition sponsored by Eleven Magazine. The competition, “Malecon: A Sea Defence & Cultural Space Challenge,” takes place in an iconic part of Havana, Cuba, and addresses the coastal vulnerability accelerated by climate change as well as “imagining a new wave of sociocultural design-led revival.” For more information on the competition and the opportunity for the public to vote visit Malecon: A Sea Defence & Cultural Space Challenge. 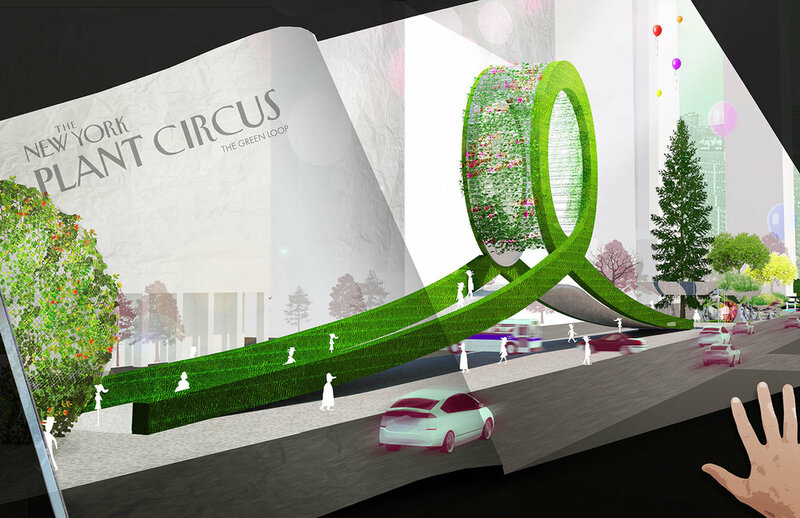 Terrain Work's design proposal "The New York Plant Circus" to re-imagine the future of Park Avenue in New York has been selected as a finalist for the Beyond the Centerline international design competition. To vote for our design text: F005 to 502-219-3839 (one vote per phone number allowed). Voting closes at 5 PM EST on Friday, March 9th. You can learn more about the competition by visiting Beyond the Centerline. To see our complete proposal for The New York Plant Circus click here. Terrain Work is excited to announce that our project Hudson Commons at 441 9th Avenue in New York City has begun construction! The project, in collaboration with COVE Property Group and KPF Architects, consists of 40,000 square feet of landscape that climbs up a commercial office tower. Hudson Commons offers premier office space in the heart of Manhattan providing an innovative approach to work-space environments that encourages indoor to outdoor interactivity with a landscape that is designed for both work and relaxation. To learn more about Hudson Commons click here or visit www.terrainwork.com. 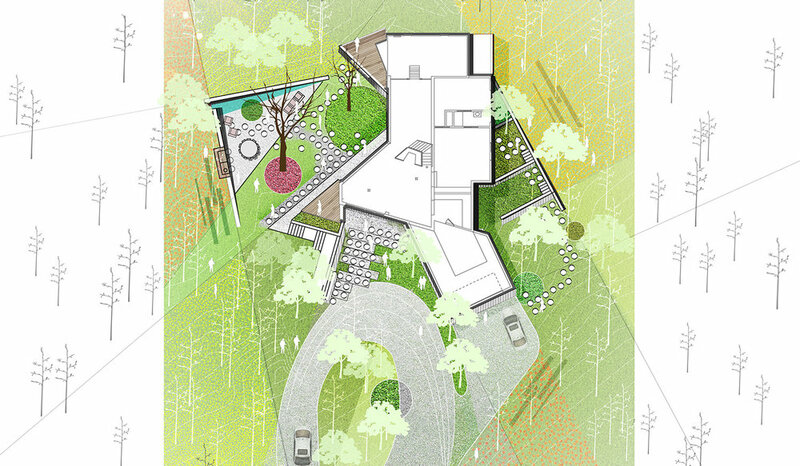 Terrain Work has created a new landscape for the Artist House, a mid-century modern house set on a five-acre lot of a mature hardwood forest of oak, maple, and walnut trees in rural New Jersey. The house was originally designed and constructed by two local artists and educators, Robert and Rowena MacPhail, during the late 1950’s . The project is a collaboration with Gary Rosard Architect who is providing a full renovation and expansion of this exquisitely unique historical structure. The garden for the house draws upon the artwork that is thought to have influenced the artist's design of the structure with its sloping triangulated rooflines reminiscent of the works of Maholy-Nagy and Wassily Kandinsky. The garden takes two-dimensional concepts found in these artist's paintings and extends them into three dimensional expressions of space, color, and movement in the landscape. To learn more about the Artist House click here. Terrain Work is looking for a creative and enthusiastic Landscape Architect or Designer with 1-4 years of working experience. Individuals with strong design and graphic representation abilities who are able to take drawings through construction are preferred. Candidates must be proficient in Rhino, AutoCAD, and the Adobe Suite to be considered for this position. Ability to sketch and/or build models with an interest in hybrid graphic practices is desirable. If you are interested in working in a small atelier practice where you will have the potential to grow with the company, please email your resume and work samples to thoerr@terrainwork.com. Please no phone calls. Terrain Work is a New York City based design firm founded by Theodore Hoerr whose work explores how the emergent qualities of nature and culture create new forms and experiences in the built environment. They approach each project with a curiosity and collaborative spirit born out of the belief that landscapes should perform as both cultural provocateur and ecological system. Theodore Hoerr, Founding Principal of Terrain Work, will be teaching Plants & Design at RISD with fellow plant aficionado Adam Anderson of Design Under Sky this spring. We will focus on how to innovate with plants in design and bring these living creatures back to the forefront of the design conversation in landscape architecture. Over the last few decades plants have often been reduced to "green infrastructure" while the discourse surrounding them has been limited to largely ecological functions. These issues are important, no doubt, but they cast plants as more an instrumental tool rather than an artful muse. Plants have also been frequently maligned as just another "material" along with the likes of stone, brick, or concrete. We aim to change this. Along with our students our course will explore how plants have the ability to create culture, shape space, and provide atmospheric effects creating new experiences in the built environment. If there are any plant lovers out there we would love to hear your thoughts on this topic! 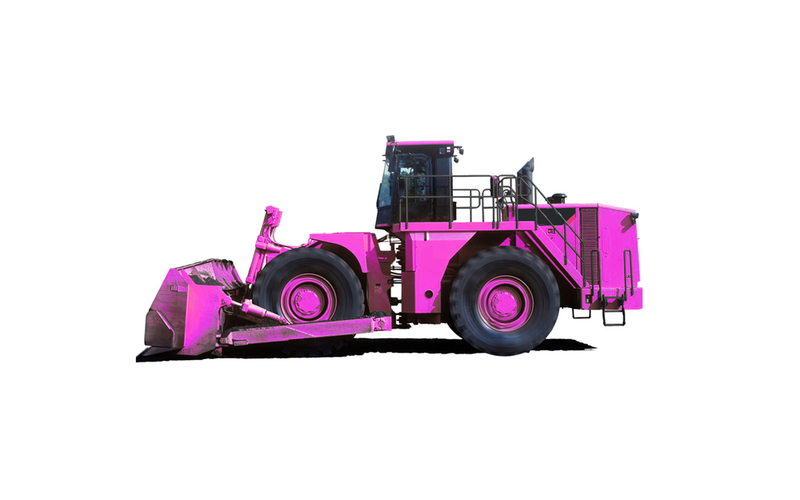 Contact us at thoerr@terrainwork.com. It is with a heavy heart to share that on November 14th, 2016, Diana Balmori passed away. Diana was a mentor, teacher, and confidant to many people over the years, including me. She always made time for the intellectually curious, whether it was a nascent student of landscape architecture or an established contemporary. Her influence was broad and wide-ranging, and her passion for landscape as a medium that could transform the way we live and interact with nature was second to none. For five years we spent countless hours together, both working in her office as well as teaching at Yale. When I first came to work in her office in early 2011 it was unlike any other environment that I had experienced in the past, both professional or academic. From the outset there was a relentless fervor and zeal placed on how to draw and how the process of drawing played a fundamental role in seeing and conceptualizing landscape. This idea of drawing was not limited to a particular instrument – computer, pencil, pen, etc. - nor was it exclusive to a particular medium – drawing, painting, collage, physical models, dioramas, digital models, film, video. It was wide open. Experimentation was always encouraged and a fundamental part of her work. I once heard the saying, “To draw is to see the world with your eye, mind, and your heart.” Diana embodied this approach and used it to push the boundaries of envisioning landscape. By doing so, she moved the discipline and discourse of landscape forward. Among her many accomplishments perhaps one of the most impactful and enduring qualities she instilled in me, and I suspect many others working in her office through the years, was the ability to see landscape anew. Construction for Terrain Work's Urban Sponge Garden in Hoboken is nearing completion. This small garden will have a broad impact. Learn more about how this space contributes to a larger city wide initiative to manage stormwater runoff in Hoboken at www.terrainwork.com. Come visit the garden on June 5th when it will be featured on the Hoboken Secret Garden Tour. 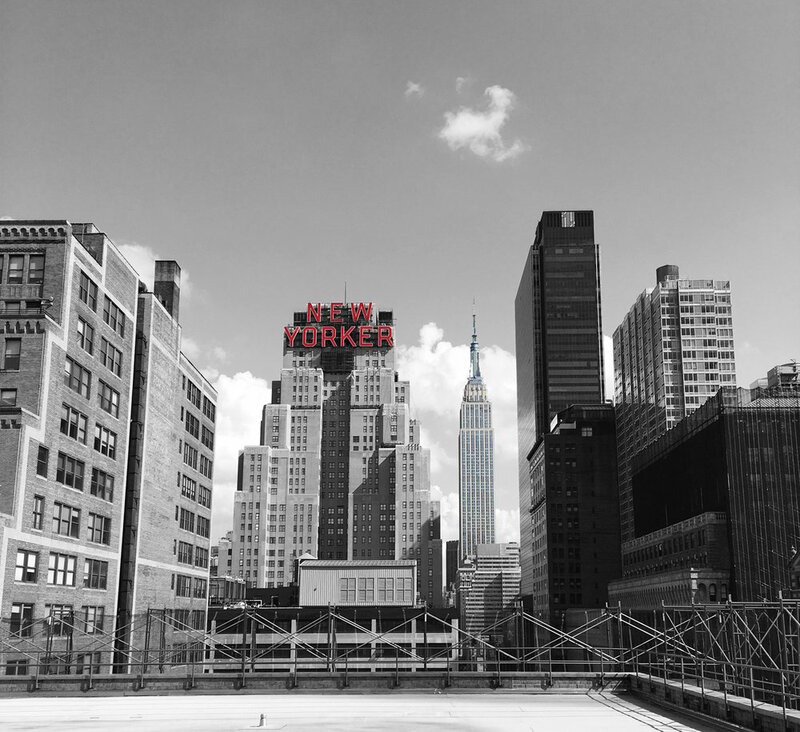 SoHo Tower was recently in the news after architect Renzo Piano Building Workshop unveiled the design scheme for this residential development in Manhattan. Theodore Hoerr led the landscape architectural design for this project while a Principal at Balmori Associates. Find out more about SoHo Tower landscape at terrainwork.com.